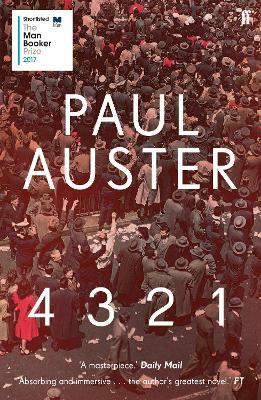 Paul Auster is the bestselling author of Winter Journal, Sunset Park, Man in the Dark, The Brooklyn Follies, The Book of Illusions and The New York Trilogy, among many other works. In 2006 he was awarded the Prince of Asturias Prize for Literature and inducted into the American Academy of Arts and Letters. Among his other honours are the Independent Spirit Award for the screenplay of Smoke and the Prix Medicis Etranger for Leviathan. He has also been shortlisted for both the International IMPAC Dublin Literary Award (The Book of Illusions) and the PEN/Faulkner Award for Fiction (The Music of Chance). His work has been translated into more than forty languages. He lives in Brooklyn, New York.